When I was in high school, I read a trade paperback copy of Transfer of Power by Vince Flynn. I bought the copy from a garage sale for a quarter, and for the amount of entertainment it provided the book was quite a steal. Years later, I still buy way too many copies of used books, but I haven't kept up with Flynn's series about CIA agent Mitch Rapp. When I stumbled upon a copy of American Assassin, the chronological beginning to the character, I jumped at the chance to read another installment in the series that entertained me years ago. 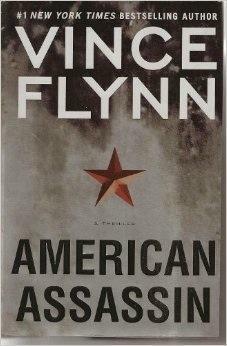 The novel opens at a time before Mitch Rapp is the infamous agent that Flynn originally wrote about. Rapp has just been summoned by Irene Kennedy, an up and coming protege of the director of the CIA, to join a select group of potential recruits to a top secret clandestine force. The group functions to do the dirty work of the agency without any official directive or recognition from the government. Out of a deep pool of applicants, these are supposed to be the best of the best. Rapp seems to be an unusual choice, especially to the man tasked with training and selecting the final members of the force. Stan Hurley dislikes Rapp from the start. He was a talented athlete and may have the physical capacity to do the job, but Mitch Rapp is an emotional mess. Rapp lost his father at a young age and his girlfriend lost her life in a terrorist attack. This has left Rapp with one thing on his mind: revenge. With the threat of future terrorist activity growing stronger each day, Rapp must face Hurley's opposition, the mounting pressure from Irene Kennedy, and most difficulty his inner demons to become one of the best agents in the history of the CIA. American Assassin contains much of what I remembered liking about the first novel. Mitch Rapp is the kind of macho, all-American hero that is really easy to root for. 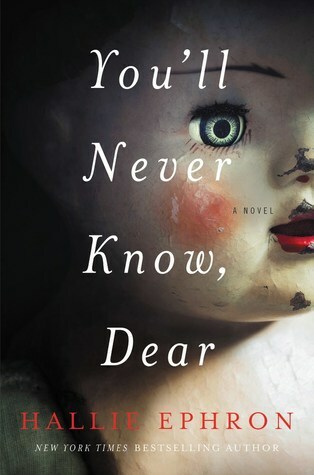 Flynn writes with a breakneck pace that keeps the pages turning and the thrills coming. The supporting cast is equally well-rounded with Stan Hurley stealing nearly every scene he's in. As a prequel to the expansive series that Rapp is featured in, this book gives an adequate introduction to the character. Still, I found the development of Rapp from grieving youth to hardened special agent to be very rushed and under developed. One moment he is facing the doubts about taking on this job, the next he is ruthlessly executing terrorists. There isn't much in between. This book has certainly reinvigorated my enthusiasm for Flynn's books, but it doesn't delve much past the surface level emotions of its main character. "Why does everyone else get rich? The wiseguys, the dope dealers, the politicians? Why not us for a change? When is it our turn?" My familiarity with author Don Winslow began with his novel, The Savages. That novel and its prequel, The Kings of Cool, featured a fast-paced, bare-knuckle prose that made for a quick and thrilling read. The way Winslow had me rooting for a group of drug dealers was remarkable, and I consider those books to be some of the best thrillers that I've ever read. His 2015 novel, The Cartel, garnered critical and commercial acclaim as a sprawling epic about the drug war. It was quickly optioned for a film adaptation by Ridley Scott, and cemented Winslow's place as one of the top thriller authors writing today. 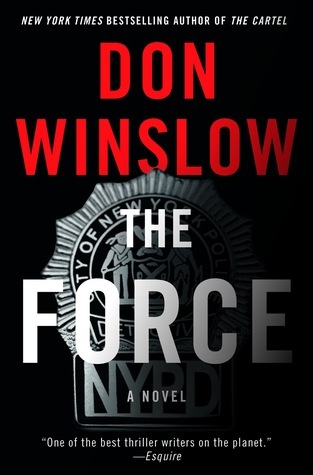 When an advanced copy of Winslow's latest novel, The Force, made its way to my desk, I eagerly dived into the novel with high expectations. Denny Malone is a king of sorts. As the leader of the exclusive NYPD task force, "Da Force", Denny has earned the reputation as being one of the best officers in the city. His men put their lives on the line each night, protecting their home from drugs, gangs, and violence. Denny's personal life has taken a backseat to his work, leaving him separated from his wife, away from his children, and frequenting the home of his drug-addicted mistress. Denny sees this as a necessary evil, all part of the Job. Ironically, Denny's quest for justice has seen him precariously balance on the edge of cop and criminal. Simply put, Denny is a dirty cop. If putting a bad guy away involves stretching the truth at a trial, planting evidence, or even killing him instead of arresting him, that's fine by Denny. Within the expansive corruption of the justice system, Denny dutifully plays his part in keeping the wheels turning. Denny takes things a step further when his team busts a notorious drug leader. They murder the criminal on the spot and keep a bit of his drugs for themselves. Why shouldn't the team financially benefit from this massive bust. They reason that if they don't profit from this situation, someone else will. But years of deceit and corruption finally catch up to Denny when the Feds begin to pressure him for info. Denny is caught between saving his own skin and protecting his team. "A man takes care of his family, end of story." The Force is the best thriller that I've read this year. Winslow writes a startling portrait of a criminal justice system that mirrors the kind of crime operations it is supposed to destroy. At nearly 500 pages, The Force is not the quick read that Winslow gave in his earlier works. Instead, it is a detailed study of a man's transformation from good to bad that evolves slowly while constantly engaging. I was reminded of the epic scope of some of the great gangster films like The Godfather and Goodfellas. I marveled and the way Winslow explores the idea of justice and what it truly is. Cop thrillers aren't hard to come by, but The Force by Don Winslow is sure to be the best one that you'll read this year.